Was Flanders, the northern region of what is now Belgium, the place where cricket began? Newly published research has again indicated that Flemish weavers and shepherds who emigrated to the south of England from the 14th century onwards could have taken the game of cricket along with them. The new findings place Flemish “creckettes” and “weckettes” in the south of England in the mid-16th century, a time that coincides with a painting by the Flemish Master Pieter Breugel The Elder which is said to show an early form of the game. Whatever the case, there is then a gap of almost three centuries until we arrive at the first recorded cricket match in what is now Belgium. Cricket “was invented in Belgium”. Read and listen to the BBC News. And clappe to your clickettes! A! Farewell, kings of crekettes! In one of those curious twists of history, this actually pre-dates Belgium itself by some 16 years. British Guards officers performed the honours, playing a match shortly before the Battle of Waterloo in 1815. Matches have been played to mark the 150th and 175th anniversaries of this occasion and the 200th is approaching fast. The first record of organized cricket, however, can be found in a painting (left) dated 1870 which now hangs in the Pavilion at Lord”s. This shows the opening of the Brussels Cricket Club ground in 1866 by the Mayor of Brussels.The next club was the Antwerp Football and Cricket Club, founded in 1880 by expatriate British workers. Early in the 20th century the football and cricket divisions of the club parted company â€“ the football club is now in Belgium”s 2nd Division, while the cricket side remains one of the country”s leading clubs.More and more clubs were formed in the 1950s, 1970s, 1980s and 1990s. Today, 18 clubs and one school are members of either the Belgian Cricket Federation or its regional Flemish organisation Cricket Vlaanderen. In addition, there are a number of teams representing businesses and other organizations playing in a mid-week T20 competition and other non-League events. In all, there are ten cricket grounds in Belgium with the new additions being the Antwerp Cricket Center and Bilande Cricket Ground which will be operational from 2014 season. Registered under Belgian law as a non-profit organization and operating as Cricket Belgium, it is the second Belgian Cricket Federation. The first was formed in the early 1900s and disappeared on the death of its long-term official Comte Joseph d’Oultremont in October 1942. No records have been found. Formed in 1990, Belgium gained the status of an affiliate member of the ICC in 1991. The present Belgian Cricket Federation was a founding member of the European Cricket Council (ECC) and is now an Associate member of the International Cricket Council (ICC) and the Belgian Olympic and Inter-federal Committee (BOIC). with different federal and local government authorities within Belgium. 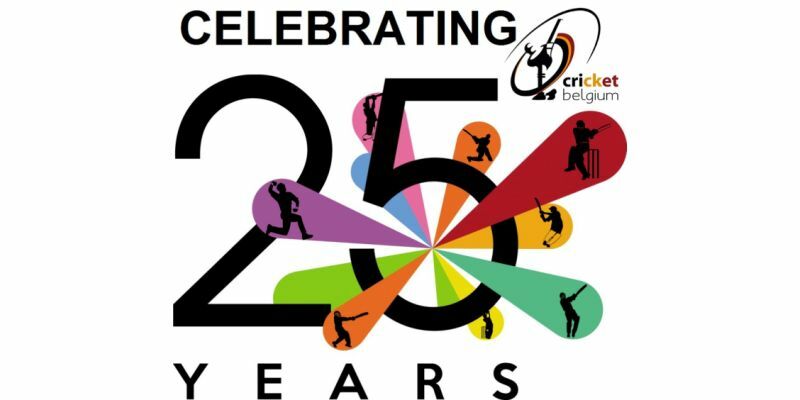 The Belgian National Cricket League consists of three divisions, while a less formally operated national Junior League operates with Under 11, Under 13 and Under 15 age groups. There is a club-operated midweek T20 competition, an annual invitation Sixes and in addition a consierable number of touring teams visit clubs each season. Apart from running senior and junior cricket in Belgium, its national squads of senior, U19, U17 and U15 play in ICC-Europe Championships and a number of its junior sides play in the Dutch competition as well. In the recent years women’s cricket has also been run by the federation. At junior level, Cricket Belgium, operating through Cricket Vlaanderen, is committed to introducing cricket at schools and sports camps, and to providing the infrastructure and back-up aimed at ensuring that there is a pathway available rather than just a one-off event. Governance: All Officers and Executive Committee members of the BCF are directly elected by majority club vote at the Annual General Meeting and all serve entirely voluntarily. The BCF plays an active role towards the growth of cricket within Belgium. A former BCF chairman, Paul Larivière, was a previous member of the ECC Executive Committee, while another former BCF chairman Ken Farmiloe, also held a seat on the European Cricket Council (ECC) Executive Committee and was a long-serving member of the ICC-Europe Cricket Committee until the end of 2010. Cricket Clubs: Although cricket is thought to have originated in what is now Belgium in about the 14th century, the first recorded match was played at Enghien six days before the Battle of Waterloo in 1815. By 1870 a club had been established in Brussels and by 1880 another had appeared in Antwerp. Both still exist. Today, cricket is well into a ‘third period’ of growth: the first came in the early 1900s, the second between the two world wars and the third began in the late 1980s and early 1900s. On the European stage, Belgium has been a committed supporter of the ECC and ICC-Europe for many years with senior national teams taking part in championships and, since 2001, sending junior national sides to European Championships as well. Belgium is the current holder of the ICC-Europe Under-19 Division 2 title and has previously held Under-13 and Under-17 titles. In 2011 the senior focus will shift towards T20 cricket in preparation for the new ICC-Europe Championship format. Belgium hosted 12 countries for the ICC-Europe T20 Championships Division 2 in June 2013 and will host five nation European Cricket One-day U19 Tournament in august 2015. In addition its national squad will travel to La Manga, Spain, for training matches in late April and will take part in the Dutch Continental T20 Championships in July. The national Under-19 squad will travel to the Isle of Man for the ICC-Europe Under-19 Championships in July 2014 and prior to leaving a selection will play against a visiting Cricket Academy from New Zealand. Under-13 and Under-15 development sides will also compete in the Dutch junior leagues. A women’s cricket competition is held at Royal Brussels CC each year with a team selected to play home and away matches against Thoiry (Paris). Three countries will also send junior women’s teams to Belgium in July for a week-long tournament.Although cricket is thought to have originated in what is now Belgium in about the 14th century, the first recorded match was played at Enghien six days before the Battle of Waterloo in 1815. By 1870 a club had been established in Brussels and by 1880 another had appeared in Antwerp. Both still exist.